Mediator / Arbitrator | Dina R. Jansenson, Esq. Dina has been named a “Super Lawyer” in the New York Metro area. For more information on Dina’s experience and credentials as a mediator and arbitrator, please go to www.jamsadr.com. 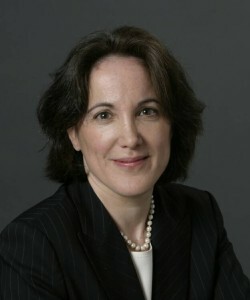 Dina R. Jansenson, Esq. has over 25 years of experience as a mediator and arbitrator. She is a sought after speaker and trainer; an external ombudsperson for global media companies; and a former litigator at a highly regarded NYC law firm. Dina is fluent in English, Spanish and Hebrew. Dina brings a broad base of substantive knowledge and understanding of litigation challenges. She helps parties analyze their legal and business issues, engage in risk assessment, develop business solutions, and deal with emotional issues. As an arbitrator, she is known for managing the process efficiently and fairly, and for a keen analytical approach to her awards. Dina teaches negotiation at Columbia and NYU law schools. She co-leads the annual basic mediation & advanced commercial mediation courses at the NYC Bar Association. She has given workshops at Fiscal Management Associates, GlaxoSmithKline, Citibank, AIG, Visiting Nurse Service, American Greetings, UBS, and Western World Insurance. She taught negotiation & mediation at the UN (NY, Mexico & Chile duty stations); and for various Bar Associations in Spain, Italy, Colombia, Argentina and Chile.